Whole house renovations to this 1800s sea captain's home preserved many original historic details. Windows were rebuilt, woodwork was reproduced, stained bead board walls matched existing, while all mechanicals were updated throughout the home. 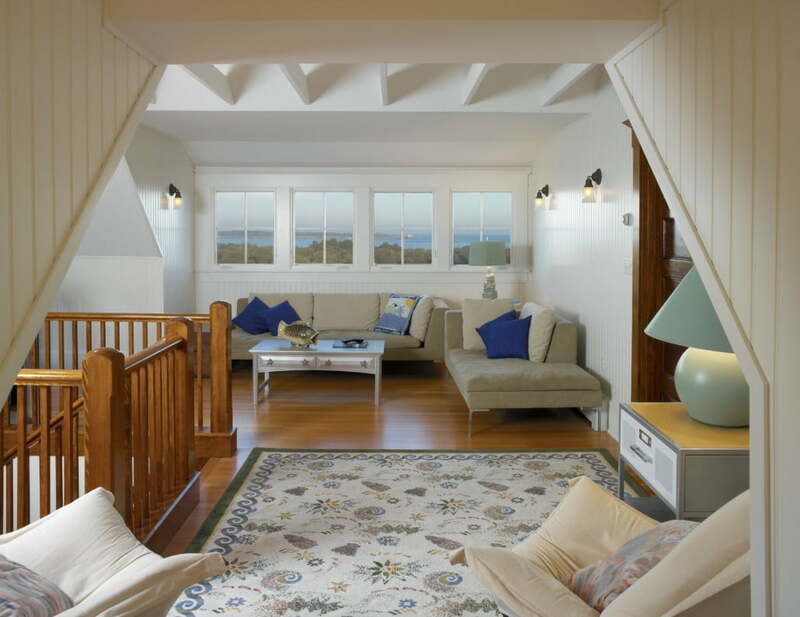 Ocean views can be seen from the home's third floor reading nook which was created by adding a dormer to the attic, utilizing space near the stairway landing. 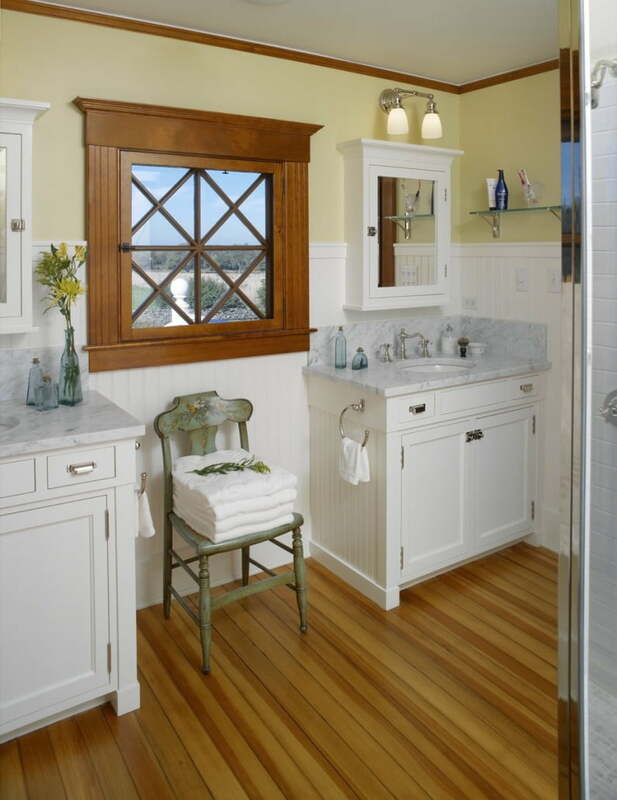 Four bathrooms were updated to reflect the historic nature of the home, including the bead board paneling and medicine cabinets trim to match the window trim. 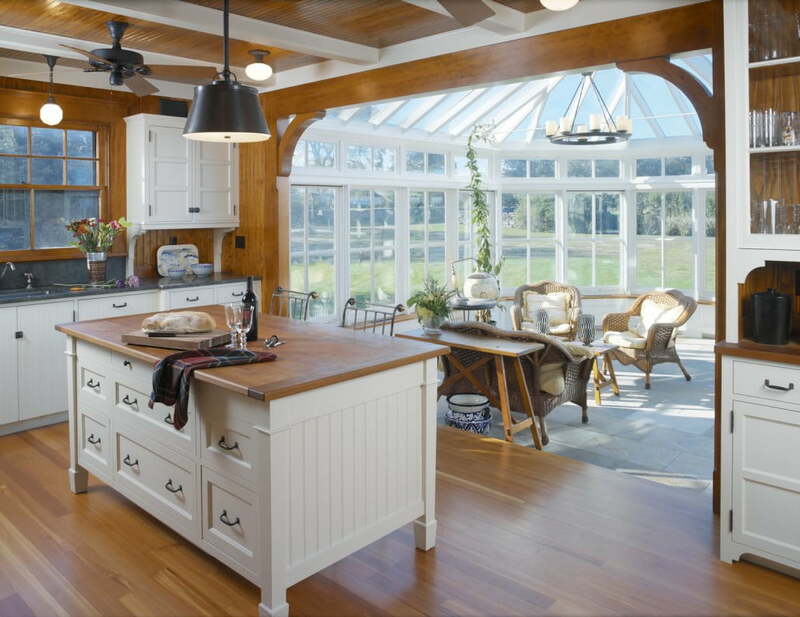 A free-standing custom island, custom built cabinets and bead board walls continue the historic nature of the home. 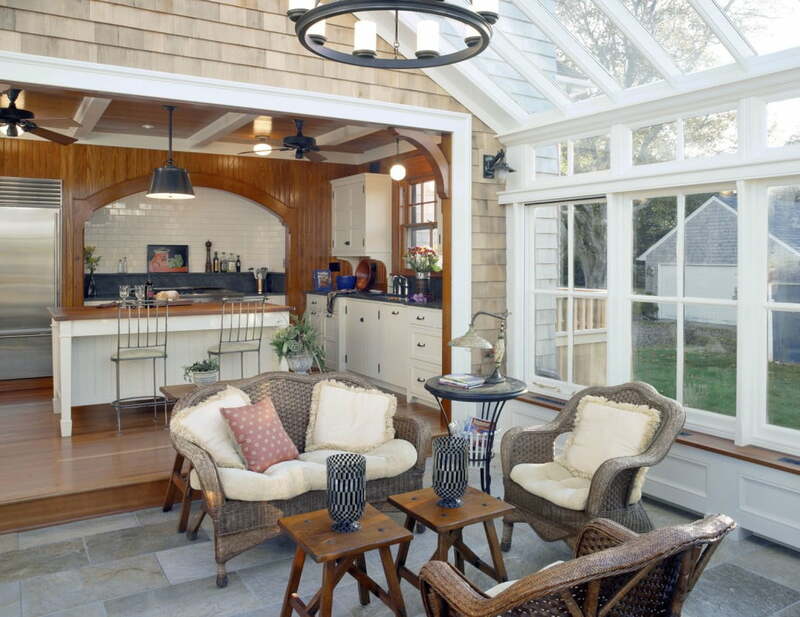 A Town & Country conservatory which was pre-crafted in England provides an all-season room where the homeowners can enjoy the beauty of the outdoors in the comfort of their home right off their kitchen.